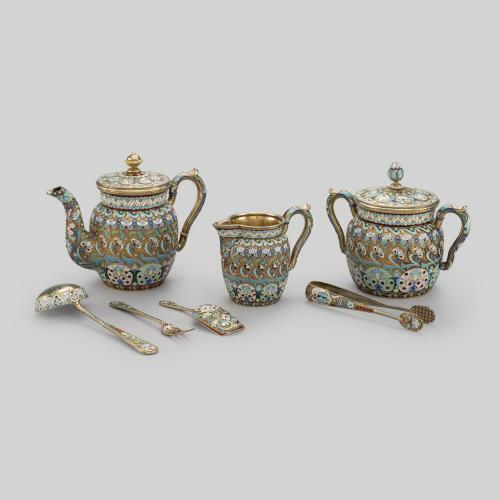 Maria Semenova was one of the few female silversmiths who owned an important silver and enamel workshop in Russia at the end of the 19th century. 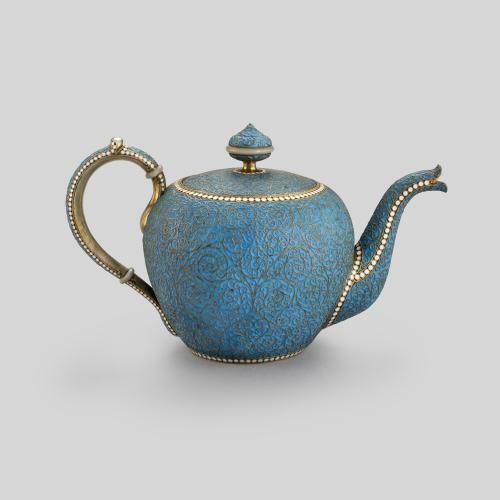 She had inherited her father’s workshop after his death in 1896, and went on to specialise in the production of exquisite silver pieces decorated in niello and hand-crafted enamels. 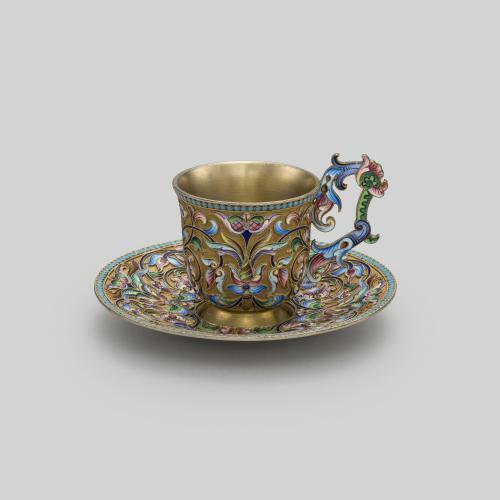 This cup and saucer are made from silver-gilt with shaded cloisonné enamel. Enamelling refers to the fusion, through heat, of a glass paste and a metal support. 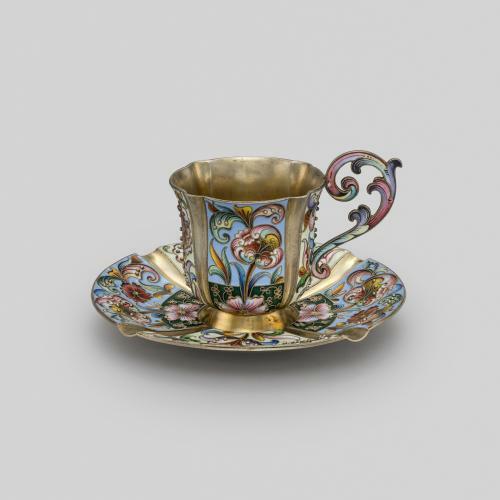 The enamels on this cup and saucer are set into ‘cloisons’ (small spaces) in a wire framework. Using a brush made from a squirrel’s tail, the enamels are ‘shaded’ (painted) with liquid enamel paint to give greater definition to the floral decoration. This scrolling floral ornament demonstrates that Semenova’s designers were inspired by the Pan-Slavic revival, a fashion inspired by the techniques and decoration of Russia’s artistic heritage.